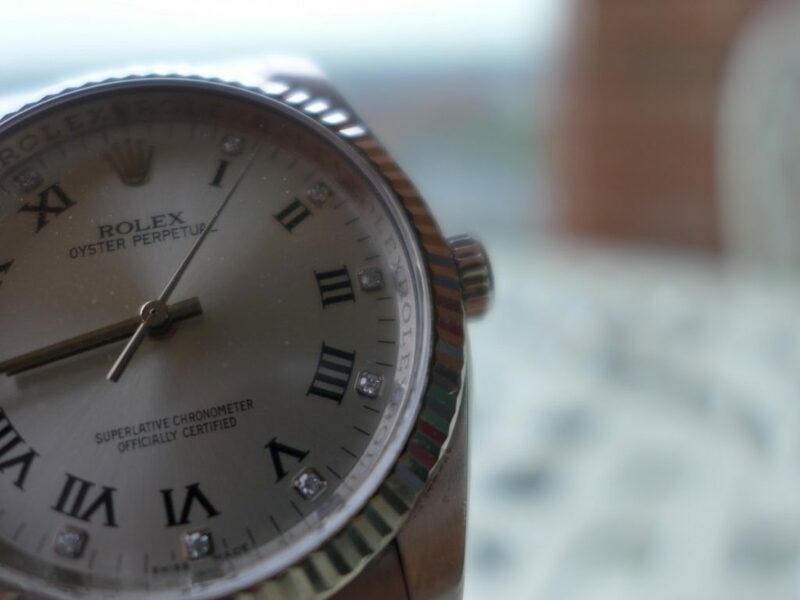 Hands on with the Rolex Oyster perpetual Datejust 116034 this piece was mine for a while then I gave to my misses till she got bored of the watch as she often does. 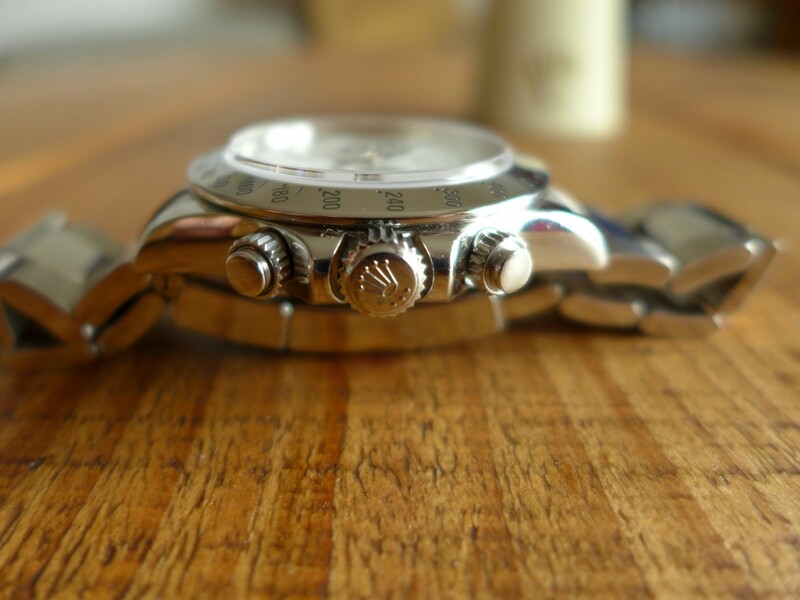 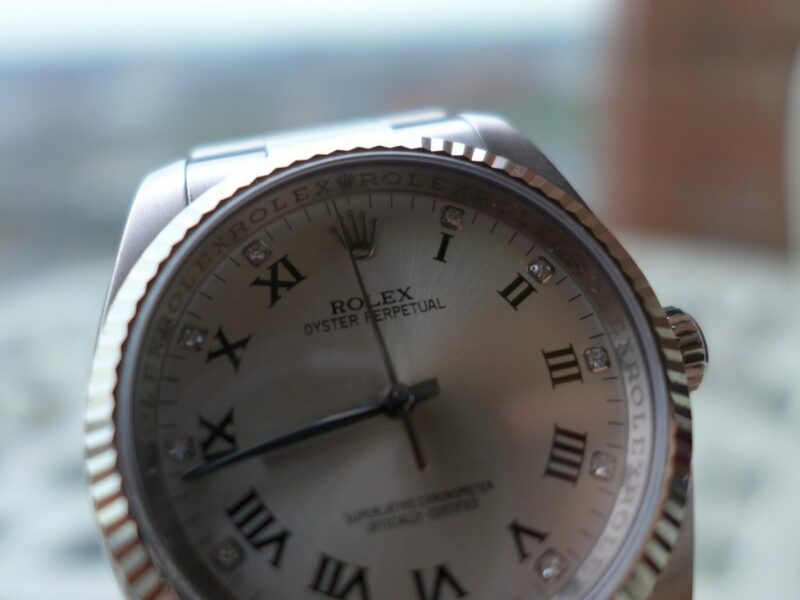 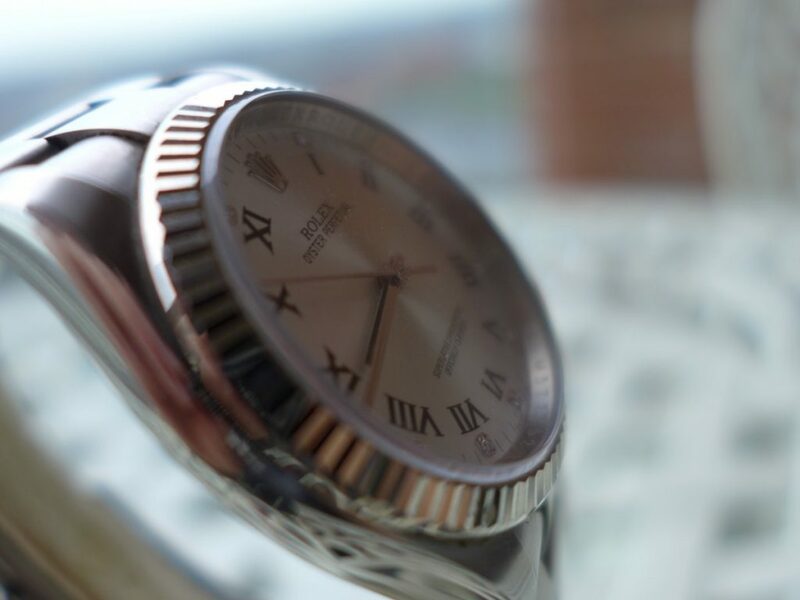 The datejust comes with a 18k white gold fluted bezel with a diamond hour markers and roman numerals on a silver dial. 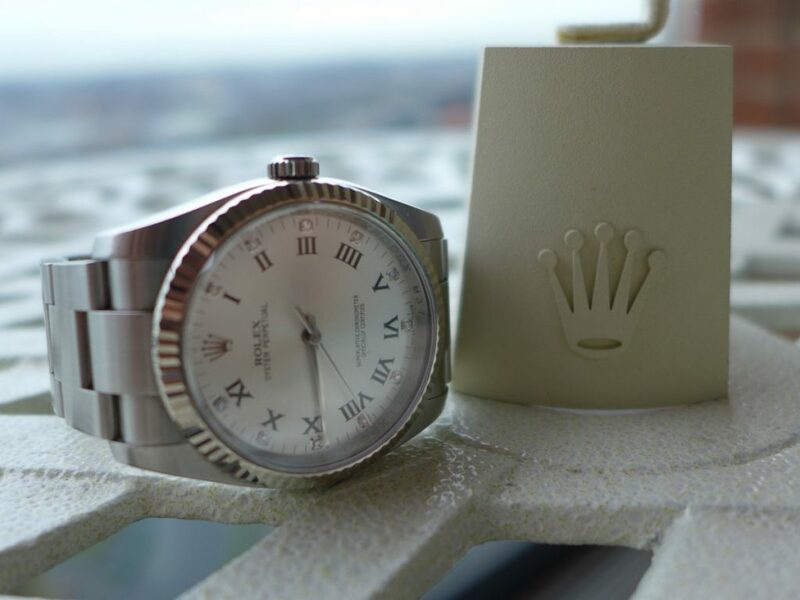 This model as I mentioned before comes in so many sizes, models, gold, steel, platinum, bi-metal white gold…… this one is 36mm in stainless steel on a oyster bracelet without the date function and also without infamous Rolex trademark cyclops. 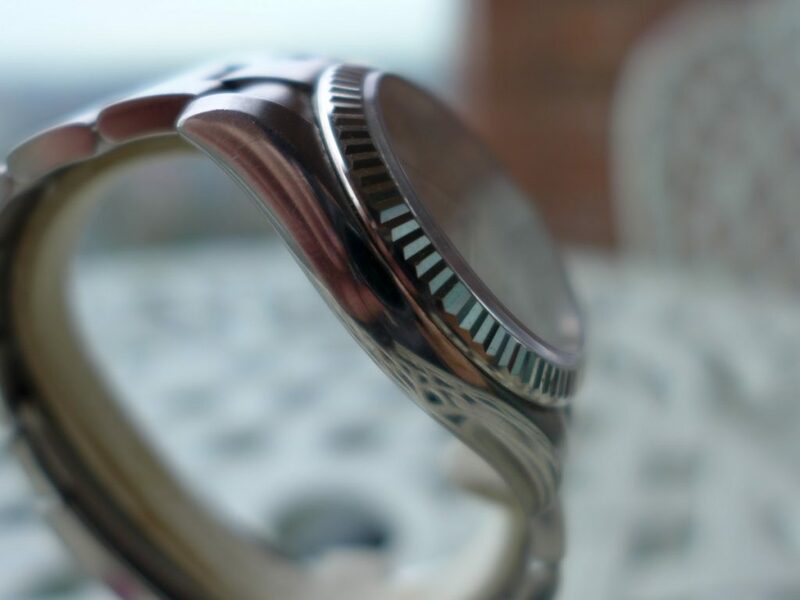 I always seem to look at the watch when needed the date never the phone so always like the date function, but a lot folk like the clean simple look without the date. 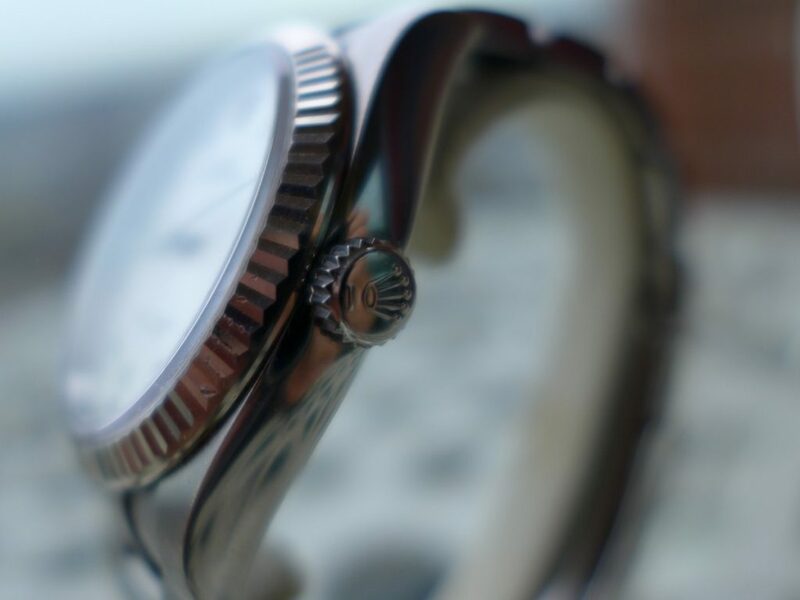 The watch makes a great unisex piece you and your partner can wear but I feel it is more of a piece for the modern women of today. 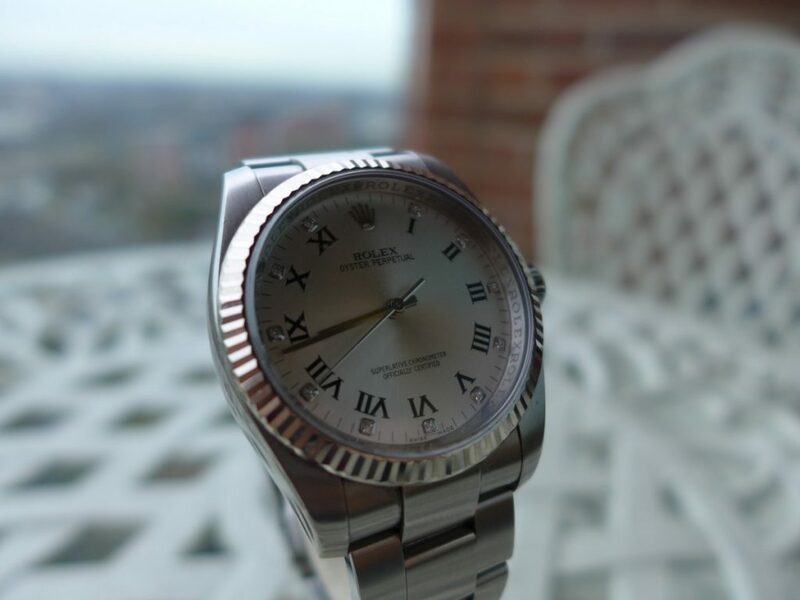 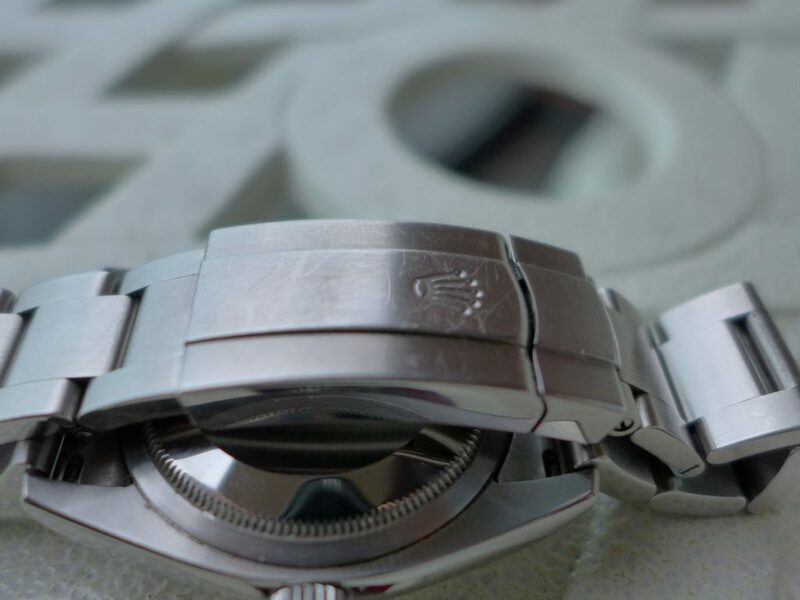 Great everyday wearer durable, strong waterproof stylish for all occasions work, play, dining, Stainless steel Rolex’s blend well for types of dress code and will keep getting better and better.